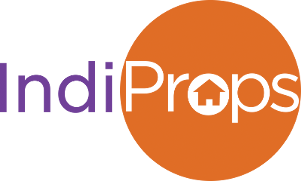 IndiProps fully respects the privacy of every entrant to its website and endeavours to ensure a secure on-line experience. This privacy statement is here to address individual’s concerns regarding what and how personal information is collected and used. The statement only relates to personal data collected via the website. Please note that the site may contain links and adverts to third party websites. Indi Props is not representative of such websites and cannot be held responsible for such data management. Please refer to any third parties for their own privacy policies. Website registration forms,contact Us forms, cold marketing call etc. Some information may be forwarded to third-parties who provided services to IndiProps with regards to processing data, completing the user’s request on time. Throughout our website we have integrated social media share buttons from third party websites such as Facebook and Twitter. Pages with this embedded content may present cookies from these websites over which IndiProps has no control. You should check the relevant third party website for more information about how these cookies are controlled.